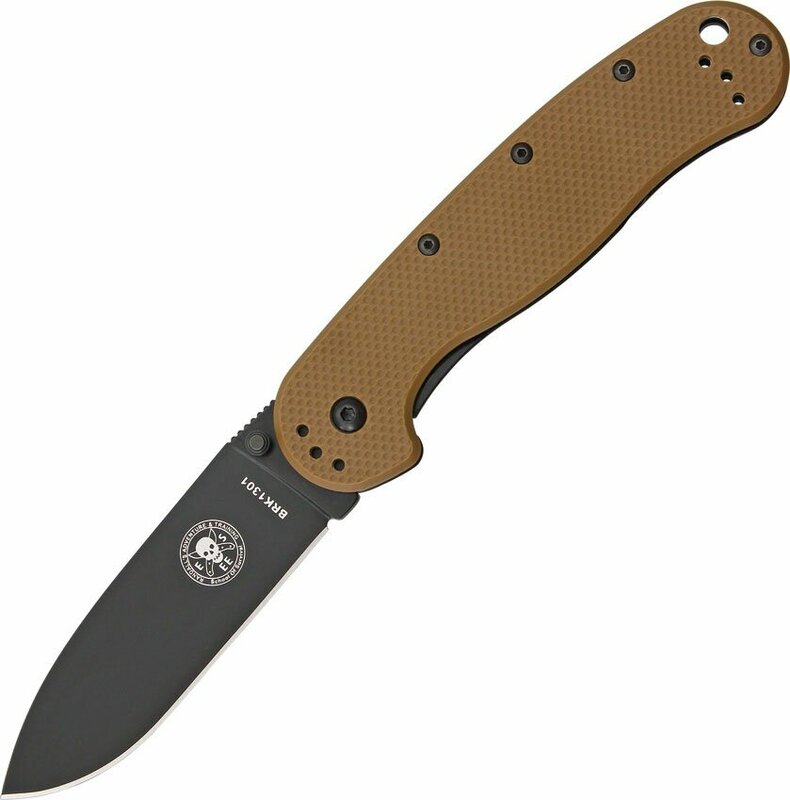 ESEE Avispa Coyote Brown Black Folding Knife(BRK1301CBB) Knives, throwing knives, fantasy knives, movie knives, tactical knives, hunting knives, etc. ESEE Avispa. 5" closed. 3.5" black finish AUS-8 stainless steel drop point blade. Coyote brown textured GRN handle with stainless back handle. Thumb stud. Lanyard hole. Pocket clip. Blade etching. AVISPA is Spanish for wasp. Designed by Randall's Adventure and Training. Standard edge. Satin Finish Blade. 5" closed linerlock. AUS-8 stainless blade with thumb stud. Black nylon handles with reversible stainless pocket clip. Lanyard hole.